Seven years ago, I fell in madly in love with Paula McLain’s The Paris Wife. It was exquisitely written, stocked with complicated and memorable characters, and it tapped into the first marriage of my literary main squeeze, Ernest Hemingway. I loved McLain’s rich blend of history and imagination and how it resulted in a gorgeous tale of two incredibly human people living on the cusp of something extraordinary. 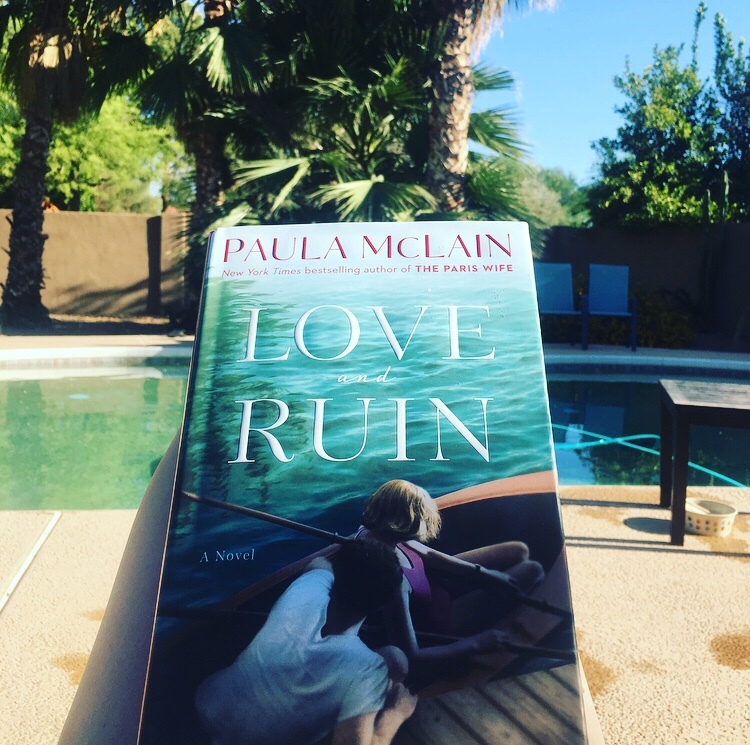 Now, McLain has done it again with Love and Ruin, this time diving into the life of Papa’s remarkable third wife, Martha Gellhorn, a talented writer, war correspondent, and fiercely independent woman who refused to be a footnote in her husband’s story. Love and Ruin takes us back to 1936, when the passionate, thoroughly modern Martha meets the very famous, very married Hemingway in Key West. When they both travel to Madrid to cover the Spanish Civil War, their lives and hearts become inextricably bound against the backdrop of battleborn atrocities. As their relationship develops, Martha’s biggest feat is no longer proving herself in a field dominated by men, but standing on her own, away from the shadows of her celebrated husband. Love and Ruin shines a light on one woman’s fight to keep a grasp on her own voice in a world that wants to define her by her marriage, and explores the complicated dichotomy of holding onto your dreams while holding onto another. What I admire most about Paula McLain’s writing is how she takes icons like Hemingway and Gellhorn and brings them to life as flawed, complicated, and entirely real characters. Despite the fact that Martha Gellhorn was an acclaimed writer and a celebrated war correspondent who reported on nearly every major conflict for over sixty years, almost everything I knew about her was in relation to Hemingway (which was everything she didn’t want). While this novel does focus on their relationship, the story truly belongs to Martha, giving her the depth, complexity, and weight she so deserves. As for Ernest, McLain once again delivers a man who is as human as he is mythical, taking the Hemingway we know and painting him as a vibrant character we’re meeting for the very first time. Their love story is compelling, heartbreaking, and raw, and even though I knew how their fate would ultimately play out, I was lost in the throes of it until the final page. If you’re looking to get drawn in by an unforgettable heroine far ahead of her time and a tale you can get swept away with, you won’t want to miss Love and Ruin. It’s a novel that will stay with me for a very long time, and I can’t wait to see what McLain comes up with next. For more on Paula McLain and her novels, visit paulamclain.com and follow her on Facebook and Instagram.